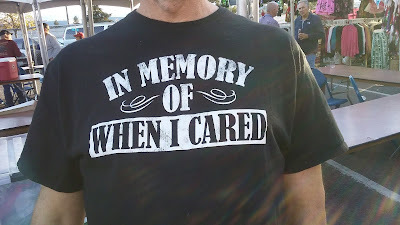 Dear Diary; In Memory of Caring - In This Time of Big Money Politics, Does Voting Even Matter? There were two things I distinctively remember doing the day I turned 18 in the summer of '76. That evening, I went to my favorite bar and had a drink, actually several, legally, for the first time. You may not be aware of it, but there was a time in several states when an 18-year old could legally belly-up to the bar and order a drink. People two or three years younger and older than me were the beneficiary of lower drinking ages that came as a result of youth protests of the Vietnam War. Old enough to die for your country, but not old enough to vote, or drink or something to that effect was the rallying cry by those slightly older baby boomers who preceded me by a few years. For those of us in Michigan, it meant the bars were open to 18-year old's and man, did we ever take advantage of that right. The other result of that rallying cry was that 18-year old's gained the right to vote. On that warm summer morning of my birthday, before going to my summer factory job, I got a lift from my old man, we went to the township hall at their opening time, filled out my registration, swore an oath, and was registered to vote in the 1976 Presidential election. Ever since taking that oath by the Grosse Ile Township Clerk, I have always been registered to vote in the four different states where I have resided. And with the exception of a few primaries, I have voted in every Presidential, Gubernatorial, and mid-term election since. Through family influence and fantastic civics instruction in my formative years, I have always taken voting seriously and have made every effort to make informed decisions on the candidates and issues before me. I cannot recall how many times through 40-years of voting however I have supported a candidate only to see them change into the sort of person you would never have voted for in the first place. Even with this disappointment, I always persevered with voting. This year, however, for the first time in my life, I have questioned myself and asked, "why bother?" Notwithstanding the laborious and excruciating long Presidential election, I find myself thinking does voting even matter? Particularly this is the case for candidates you vote for, win and end up disappointing you. The other aspect that perhaps is deeper is this skepticism that seems to be present in lots of voters myself included. People of all political stripes are asking themselves who are these politicians looking out for? Given the money it takes to win most elections - or even to be taken seriously by the machines that dominate our political landscape - a candidate needs lots of good old cold, hard cash. Therein lies the culprit. Almost every politician will tell you with a stoic face that the money they receive from patrons doesn't determine how they vote. But really, how often do we see politicians vote against the wishes of the donor class? We see this from both major political parties from the top of the food chain all the way down to our very own city council. If you look at how every Elk Grove City Council Member votes and who provides the significant funding, it is not hard to see who and what motivates their votes. Ever wonder why there are so many unanimous votes by the Elk Grove City Council and rarely, if ever, has a project from one of their donor class developers been denied much less modified? 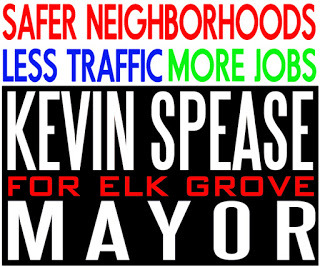 Additionally, have you ever seen a Democratic Elk Grove City Councilman try pursuing progressive ideas for the lower-income people in our community or a Republican City Councilman consistently exercise fiscal restraint? Substitute Presidential candidates and Wall Street investment bank donors with Elk Grove City Councilmen and real estate development interests and you pretty have much the same. The only thing different is scale - with Wall Street it is in multi-millions of dollars while our local politicos deal in just the hundreds of thousands. You see, Wall Street controls Pennsylvania Avenue and Capitol Hill while Granite Bay developers control Elk Grove City Hall. Politicians and the donor class are looking out for number one and number one, as Nobel Laureate Bob Dylan wrote, it ain't me babe. Donors win, politicians win, and the average citizen is the schlep left holding the bag. But hey, as Meatloaf once sang, Two out of three ain't bad! Nonetheless, as Tuesday, November 8, 2016, approaches, I'll dutifully prepare my list - particularly for the statewide initiatives - make my way to the polling place and cast my increasingly insignificant vote. I'll do this if for no other reason to honor those who fought in wars and civil rights battles for these rights we still have. I just wish I had the enthusiasm of Tuesday, November 2, 1976.